“All we are saying … is give peace a chance”. 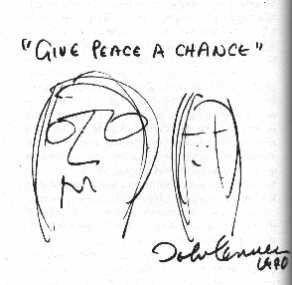 The lyrics of “Give Peace a Chance” express former Beatle, John Lennon’s (1940-1980) antiwar philosophy. In commemoration of his birthday on October 9th, the Libraries’ is highlighting resources that provide a documentary history of governments’ attempts to establish peace though negotiations, armistice agreements, and treaties. Supplementary documents related to peace talks, declassified diplomatic correspondence provide further accounts of diplomatic successes and failures. The text of treaties from the earliest formation of the U.S. government to contemporary times are available in print or in digital format within the Government Publications Collection including Indian Treaties, treaties with foreign governments from the Revolutionary War, both World Wars, and the Korean and Viet Nam Wars eras. In addition, the United Nations Treaty Collection subscription resource includes multilateral treaties, many of which seek to promote peaceful relationships among countries. Background information critical for better understanding of issues involved in negotiations, includes foreign policy statements, reprints of speeches, congressional testimony, position papers, and country geopolitical profiles. The destruction resulting from World War II brought nations together to work on peace and security issues through the United Nations. The United Nations has worked on these issues since it was founded in 1945. As a collector of United Nations publications, the University of Iowa Libraries has an extensive collection of materials that describe and detail international efforts to maintain and promote peace in the world. A research guide for the United Nations collection is available online at http://www.lib.uiowa.edu/govpubs/intl/un.html. Researchers may begin their search in InfoHawk Catalog or contact Marianne Mason for help with U.S. government information and Brett Cloyd for assistance with the United Nations and international government information.